A learning environment and knowledge dump for growing Sitecore professionals. When I first started down the path of doing Sitecore development back in 2008, I was told by the company that I worked for at the time that they had a new CMS system they were going to be using to manage all the customer websites. The company was in the restaurant advertising business, and when they got new a new restaurant we would take the website they had currently, and add them into Sitecore to be managed. Back at that time, CMS systems were just gaining some ground in popularity, and .NET web development was a hot topic. I had been doing some work before with ASP but not a ton of .NET web development much less with enterprise level CMS systems. I was at a Junior level in my development efforts in .NET with lots of knowledge, but not a lot of practical uses of said knowledge in the form of implementations. With that being said, I knew that I had a lot of work ahead of me to learn .NET Web Development, and then learn Sitecore intimately from every angle in order for me to be able to deliver solid solutions. At that time in 2008, the version that had everyone excited was version 6.0. Sitecore, in my opinion, has always been good at providing documentation. However, with that being said, I still had to rely mostly upon Google searches to find most of what I needed to help me out in any way shape or form. 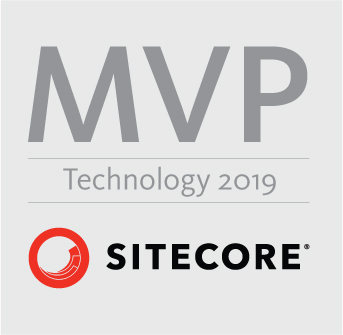 It was at this time that John West and his blog posts generally saved the day for most of us that come from that era of Sitecore development, and the reason why he is a lifetime Sitecore MVP. He literally paved the way for us current MVP’s to share our knowledge as back then we were just looking for nuggets anywhere we could get them. From all of us in the community, thank you John West! Now, back on topic, my company saw that this was a tall order for me to take on, and decided to send me to Sitecore certification training in San Francisco, CA. This turned out to be the best move they could make and money well spent to get me up to speed VERY quickly. I flew out to San Francisco, and for a week learned the nuts and bolts about how to develop a website into the Sitecore CMS system. To be honest, it was a lot to take in and being new to .NET development, some of it was over my head, and I struggled to gain the deep understanding that I very much desired. Luckily, all my documentation I read through before the course and the Google searches paid off because I was more so gaining the validity to what I had been doing on my own versus learning brand new concepts. Days were filled with training and examples, and nights were filled with soaking up what I learned that day and studying for the exam at the end of the course. At the end of the week, I flew back home as a Sitecore Certified Developer. Armed with my knowledge, certification, and newfound passion for Sitecore, I set out to start building websites. I was able to build my first website in 6.0 that had around 20 micro-sites within it that we were able to manage easily in a very short period of time! Fast-forward 8+ years later, my previous employer, had an instructor fly out, and provide a group training in SItecore 8.1+ . First, we started out with training on how Content Editors use the system from Content Editor as well as heavy use of the Experience Editor, and all it’s functionality and tools to edit content. Then for the rest of the week, we took a deep dive into how to develop websites into the Sitecore CMS using the latest and greatest tools utilizing best practices for Sitecore development. Having been through Sitecore Certification Training in the past, I was sure that I would not see much new that I didn’t know. To my disbelief, I was blown away at all that I learned that I didn’t know about, in addition to using tools that would help my team’s productivity overall. For instance, in the course, we made extensive use of SIM (Sitecore Instance Manager) and Sitecore Rocks for our development. I have used Sitecore Rocks before, here and there for certain tasks, but not strictly for development forcing me to have to get used to use the tool. It was great see just how easy things were to get what I wanted accomplished without ever leaving Visual Studio! Now, I am using Sitecore Rocks more than ever to help me with my day-to-day Sitecore tasks. The moral of this story is that Sitecore training is ALWAYS valuable for partners as well as clients! Make no mistake about it, you are only as effective as what your level of knowledge is when it comes to Sitecore. Once you get the training you need in your role, you will be more confident, productive, and ultimately happy working inside the Sitecore CMS. Happy coding! This entry was posted in Did you know... and tagged certification, sitecore, sitecore certification, sitecore training, training on April 7, 2017 by Toby Gutierrez.